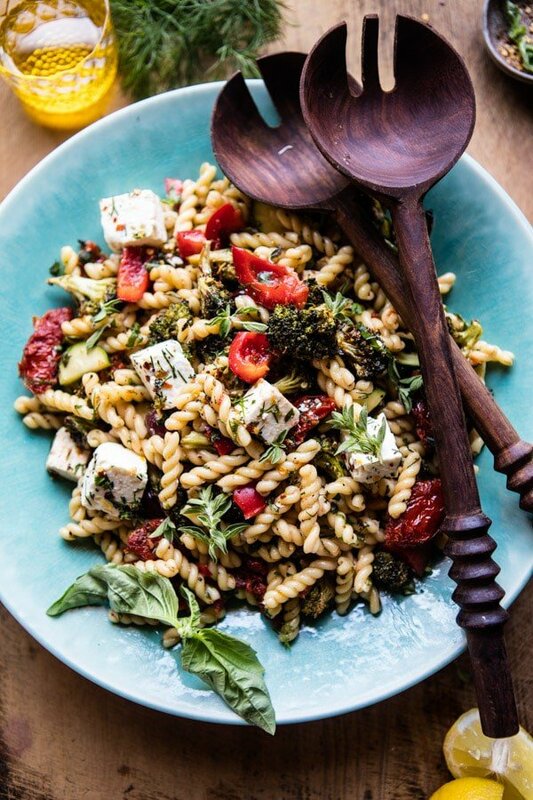 Serving up a big serving of one of my favorite pasta salads todays! For whatever reason, I begin to think of pasta salad around this time of year. 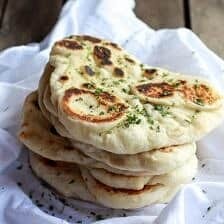 My dad used to make it often throughout the summer, when the days were packed full of sunshine and fun, and dinner just needed to be quick, simple, and easy! Summer is definitely not quite here yet, but we are mid spring and the weather is finally beginning to cooperate, YAY! It was a gorgeous sunny day today, the kind that make you feel like summer is here. 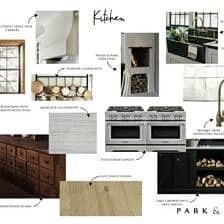 For me, this means way less time in the kitchen and way more time outside…or at least that’s the way I dream of it being. In reality, more likely it means me sitting in the window with the most vibrant sun shining through while typing away on the computer. Hey, but at least it’s a very big window…with incredible views…got to do what you got to do! Anyway, this pasta salad is a mix of all the flavors I am loving right now. Fresh oregano, basil, dill, plenty of Greek veggies, and the most delicious lemony roasted broccoli. The major bonus here is that this could not be easier to put together…and the leftovers just get better, making this one of those dinners to make on Sunday and eat for lunch throughout the week. Cool. Cool. OK, but while I love pasta salad, the real inspiration here actually came from my cousin, Maggie. She announced on the family Group Me text messaging app that she had just booked a summer trip to Greece, yes, Greece! I mean, how amazing does that sound? I am totally jealous. She’ll be traveling to Athens, Santorini, Paros, and Crete…talk about a trip to paradise. Literally just got even more jealous typing that out. I told her to make sure to take tons and tons of photos of everything she eats so I can attempt to recreate each dish. Bring on all the gyros, colorful salads, and of course – feta! 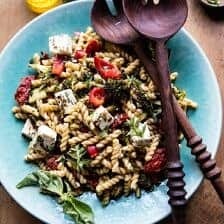 Clearly her trip got me thinking about Greek foods, and in turn, I decided to create this simple pasta salad loaded with Greek flavors. 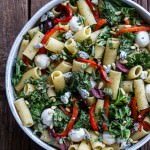 It’s probably one of my favorite pasta salad combos, and trust me, I have made a lot of pasta salads! 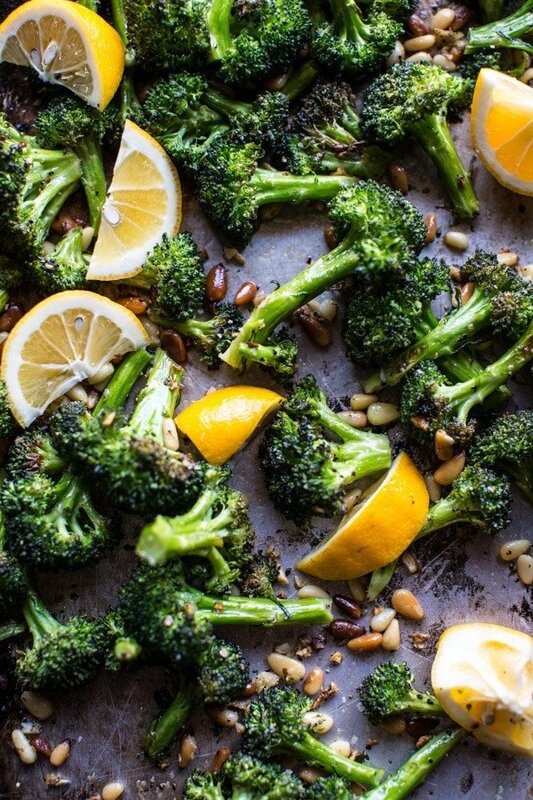 The recipe starts off by roasting the broccoli in the oven with a little garlic and lemon. While that’s happening, just boil up some pasta, drain, and add all the remaining ingredients into the bowl with the hot pasta. It’s important to toss everything together while the pasta is still warm so you can really activate the flavors of the fresh herbs. My secret flavor booster? Using the oil that comes in the sun-dried tomato jar. I feel like I’m saying this all the time now, but that oil is like liquid gold, so don’t throw it out! My other not so secret, secret? Lots and lots of really good cubed feta cheese. It is just a must in a Greek salad. 2. 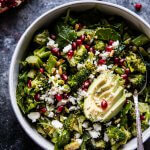 On a large baking sheet, toss together the broccoli, pine nuts, 2 tablespoons olive oil, garlic, and a large pinch of both salt and pepper. Transfer to the oven and roast for 20-25 minutes or until the broccoli is just beginning to char. 3. Meanwhile, bring a large pot of salted water to a boil over high heat. Cook the pasta according to package directions until al dente. Drain and add back to the hot pot. 4. 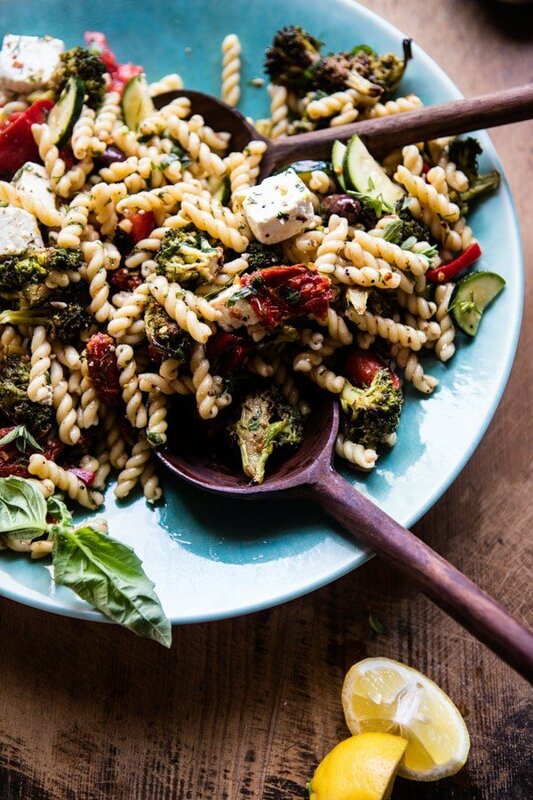 While the pasta is still warm, add the roasted broccoli, sun-dried tomatoes - plus the oil in the jar, olives and 3 tablespoons of the olive brine (the liquid surrounding the olives), the zucchini, red pepper, cucumbers, oregano, basil, dill, lemon juice and zest. Toss until well combined and the pasta is coated in oil, if needed drizzle in little olive oil over if there doesn't seem to be enough. Add the feta and gently toss. Serve warm or at room temperature. The pasta can be made up to 1 day in advance. Your photos are always so colorful, bright, beautiful and delicious. Thank you for sharing the joy of food! 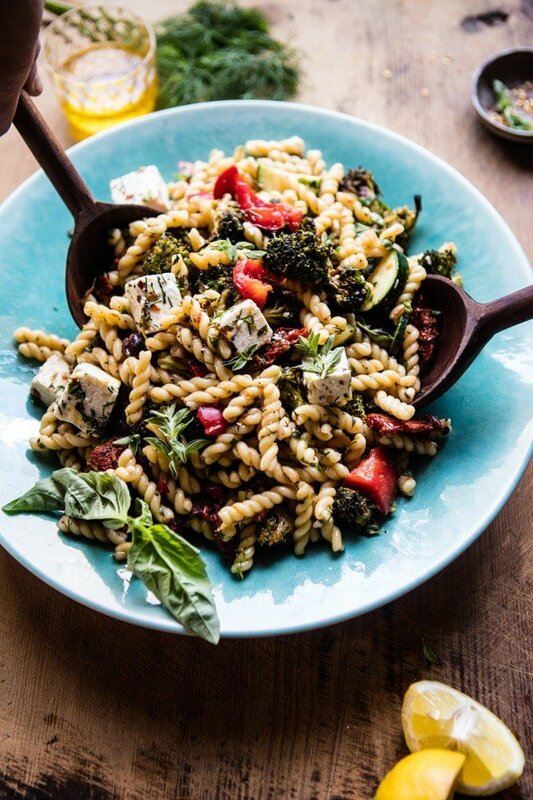 This sounds soo good and perfect for a weeknight dinner! Ahhh, yeah! 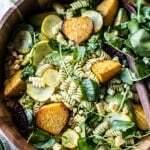 Pasta salads are the perfect answer for quick and easy meals. 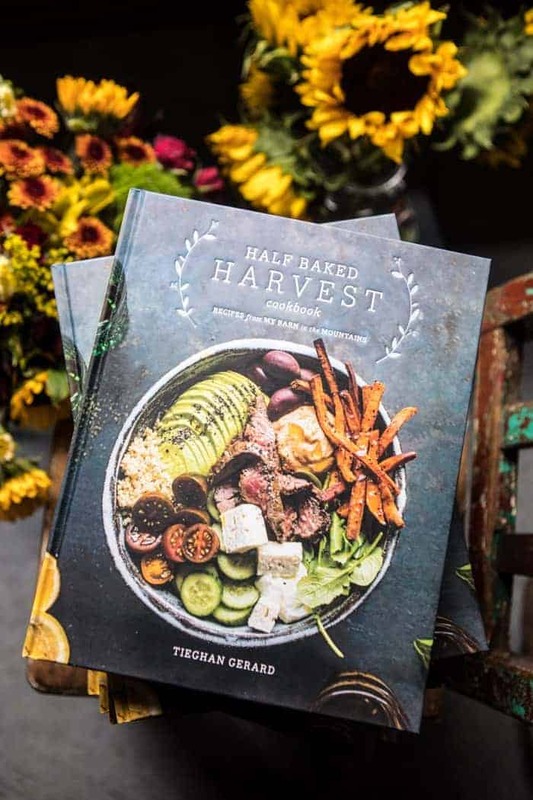 This one looks incred, Tieghan! Couldn’t agree more! Long day make a pasta salad!! Thanks Tori, so happy you like it! Ah wow, so jealous! I would love to go at some point! So happy you like it Jess! I know!! I want to so so bad! I wish i could. Love the tip on the oil from the sun dried tomatoes ! So sorry! It is an 8 ounce jar. Let me know if you have questions. Hope you love this! Ditto ….size of sun dried tomato jar? I’m super jealous of Maggie too!! 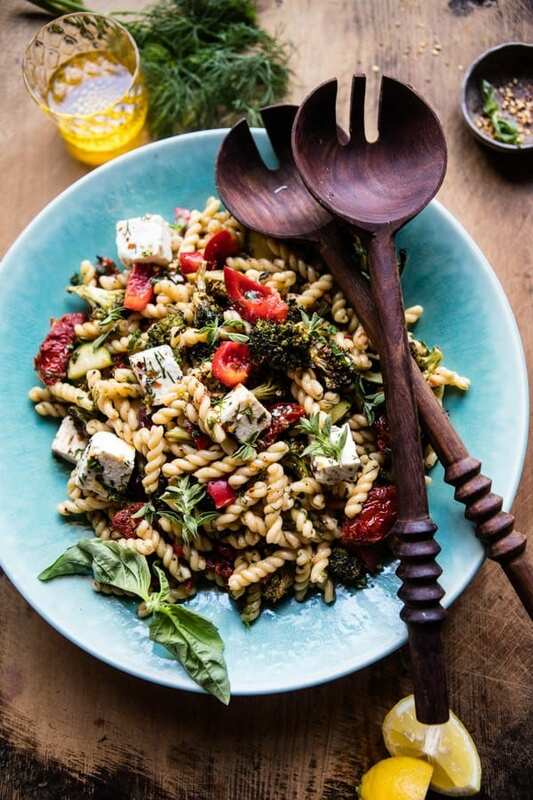 Greece is my dream trip…I honestly think about it daily as I’m staring off into space…And this pasta salad sounds delicious. I love the addition of broccoli! RIGHT!? I’m going to have to go at some point! Ah!! Thats amazing! So happy about this. Same with me! Greek anything is YUM! Oh lovely perfection on your dish…you are so in tune with the flavors, you always make us happy with you combo’s – Do It! Greece is the same..very fortunate to have traveled to the islands in the mid-90’s. Santorini at that time was truly old world, excavations to see, wonderful people…so pure, and the food…the finest. Follow the locals that live there and eat at the places they eat, they know. You get Tzatziki every meal with bread, ah yum (and garlic breath, ha! )..the museums were awesome, the digs/excavations.. things that were many centuries old. My heart misses and wishes to return some day. AH! I need to go seriously sounds amazing! My dad would die!! He cant stand garlic breath. Ive been googling today while procrastinating and it looks so pretty! I hope you get to return! OMG so much incredible flavor going on here!! LOVE that you added toasty pine nuts–talk about a yummy aroma. Plus how adorable is that pasta shape you used?!?! I’m surprised it’s not more common. 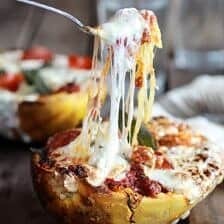 What type of pasta shape did you use in this? I can’t wait to try it. Thanks! So happy you liked it Erin, thank you! 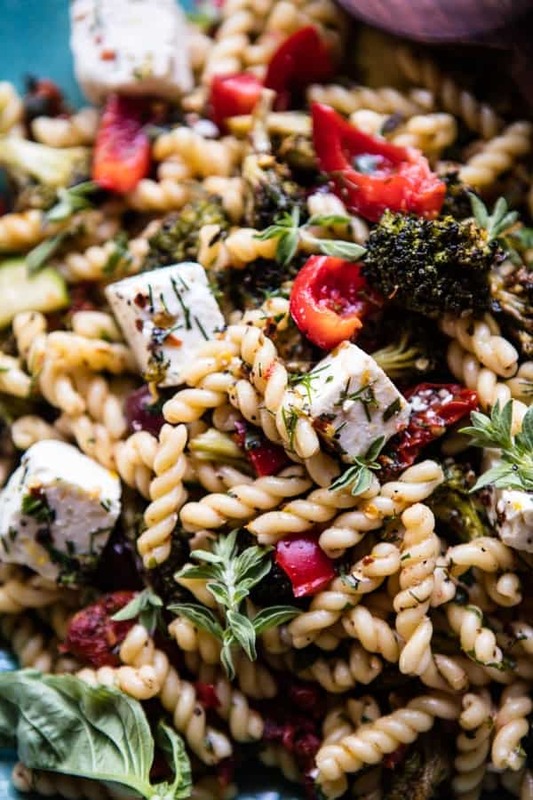 I’m intrigued by this very simple pasta salad, but when you say chopped, sliced, what exact measurements and cuts are you speaking of? I measure every ingredient in a recipe by ounces and cups to try to be exact as possible, so if someone else makes it, they get it right. Chopped, does that mean quartered and diced into 3/4-1 inch cubes, and sliced, does that mean halved lengthwise and sliced widthwise, or just sliced into large rounds???? Sorry to be a bothersome, but I don’t like when I prepare something, and it turns out looking like a monkey made it. Please let me know if you have any other questions. Hope you love the pasta! Also, if I were to halve the recipe, what is the measurement of sundried tomato oil used? And the lemon juice, how much juice do you usually get from a lemon? I usually get about 2-3 tablespoons, but no more. Hi! It would be about 1/4 cup oil and 1 tablespoon lemon juice. Love the simplicity of this dish, looks like something I would love to have for dinner tonight!! Hope you get to try it tonight Riya, thank you so much! 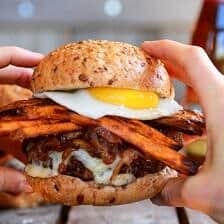 I made this recipe last night and I was literally so delicious!! 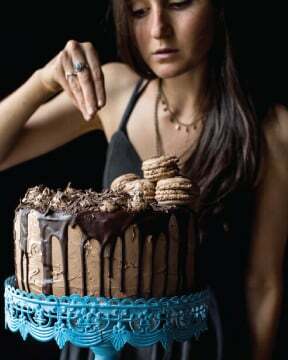 Great almost summer recipe. 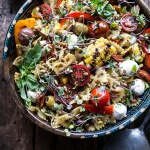 I freakin’ love pasta and all the flavors in this recipe made it so there was something new to look forward to in every bite. Awh I am so glad you loved this Kristen!! Thank you so much! So I guess the zucchini is uncooked then, right? Hi Jamie, yes, the zucchini is left uncooked. Please let me know if you have other questions. Hope you love the salad!